Connor, Amaya, and Greg, AKA The PJ Masks are back! 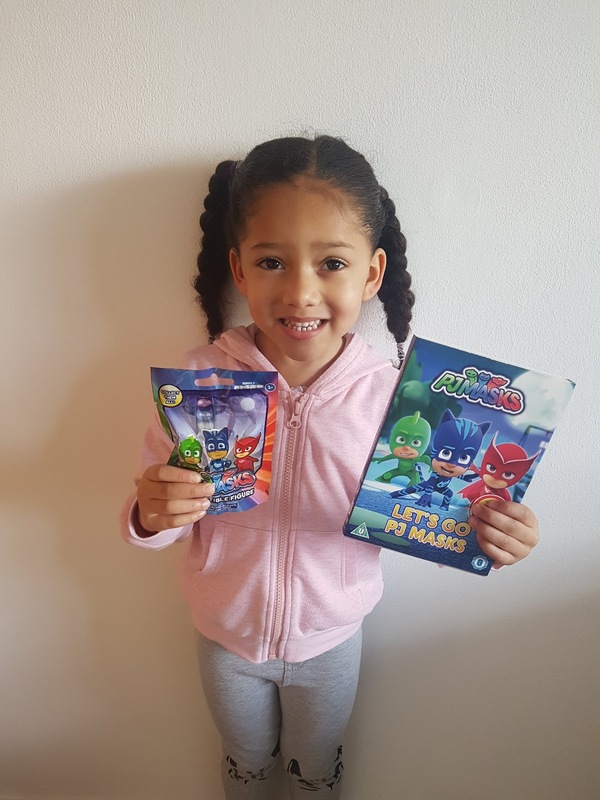 Darcy has been fan of the show for a while now and was luckily enough to be invited to The PJ Masks halloween party. 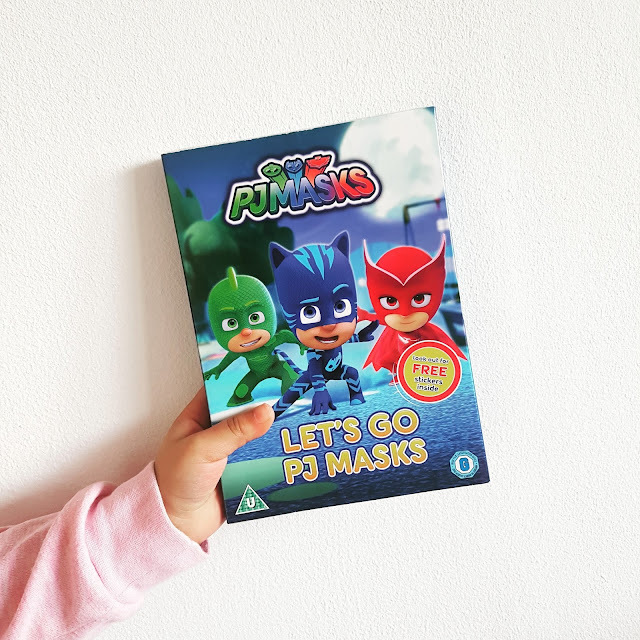 So you can imagine, Darcy was so excited to receive a copy of the brand new Lets go PJ Masks DVD, Which was released on the 5th February on digital download or to buy on DVD. Catboy and the Shrinker - Romeo and Night Ninja team up to shrink the PJ Masks with Romeo’s shrinker invention. When Catboy gets shrunk, he forgets that even a little guy can save the day . . . if he can use his small size to his advantage. Looking After Gekko – When Night Ninja steals the school bus and converts it into his very own super-vehicle, it's up to our heroes to stop him in his tracks. But for that to happen, Gekko needs to learn that asking for help doesn’t make you weak. Catboy’s Tricky Ticket - Catboy only has two tickets to the Jayden Houston concert and has to decide which of his best friends to take to the show. Owlette and Gekko offer him presents to sway his decision and Catboy’s newfound greed could ensure Luna Girl ruins the concert for good. Clumsy Catboy - Romeo plans to use his newest device to make everyone in the world so clumsy that they can’t stop him from taking over the world. But when agile Catboy is the first to be “clumsified”, he can’t admit it and tries to save the day without any help. The Lets go PJ Masks can brought on Amazon, and would be prefect to watch over the half term.